WE GOT THE GATE!!!! ???????????? LEHIGH ACRES — Before Friday night's for a playoff berth game at Lehigh, Estero High School first-year football coach Jeff Hanlon said the team that made the fewest mistakes likely would win. FORT MYERS — The Community School football team is in the playoffs in its first season back in the FHSAA. MARCO ISLAND — After retaking the lead late in the fourth quarter, the Marco Island Academy football team couldn't hold on. Evangelical Christian scored with 16 seconds left to hand Marco Island a 30-26 loss in its final home game at Winterberry Park. MOORE HAVEN — If there was any doubt how the First Baptist Academy football team responded with a district title at stake, Jayce Howell delivered the answer as spectators were still filing into Moore Haven High School's Terrier Field. To say that the Golden Gate vs. Palmetto Ridge high school game was great would be a huge understatement. 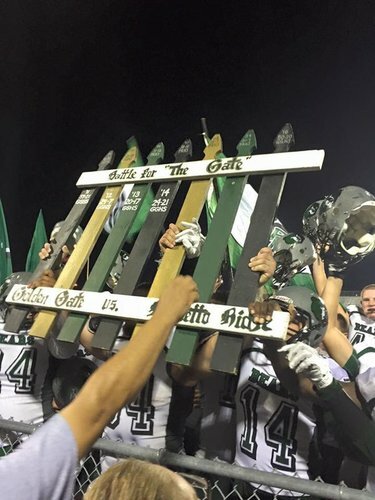 In this year's annual Battle of the Gate, the Bears were able to gut out a 40-33 victory over the Titans in what is sure to become an instant classic in each program's history. Bill Kramer took a deep breath and smiled as his players yelled and held posters reading "DISTRICT CHAMPS, 6 in a row!" 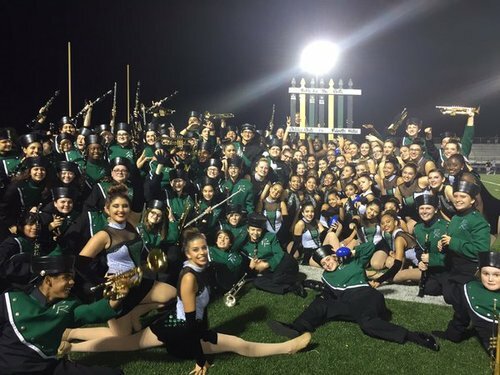 and "COUNTY CHAMPS." FORT MYERS — A fired-up Pete Fominaya addressed his Gulf Coast High School football team after was beaten 34-20 by South Fort Myers in the Class 7A-District 12 championship Friday night. IMMOKALEE — Already driven by the excitement of a possible playoff berth, the Immokalee High football team got a different kind of motivation early in Friday's game against Lely. Thank you for participating in our live chat. 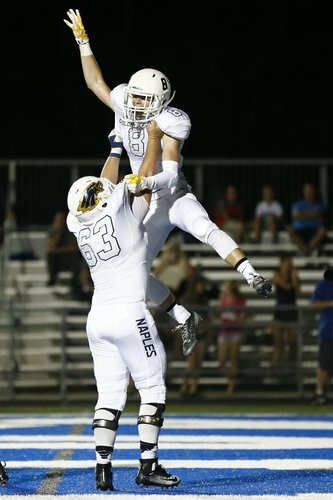 Find videos, photo galleries and game stories at naplesnews.com/prepzone. Have a good weekend everyone! We'll see you next week. Same time. Same place.